Rottweiler stud service available from a exceptional Rottweiler stud dog. Our Rottweiler stud service will only be bred to females of merit. All female Rottweilers must be free of hereditary faults and must have a brucellosis test negative within 30 days of mating. 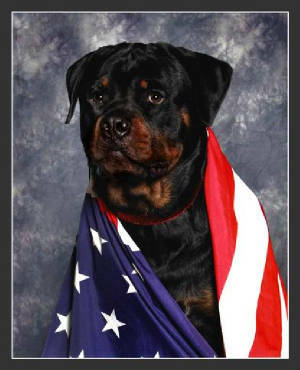 If you would like our Rottweiler stud in your breeding program, please contact us. We would be happy to evaluate your female. 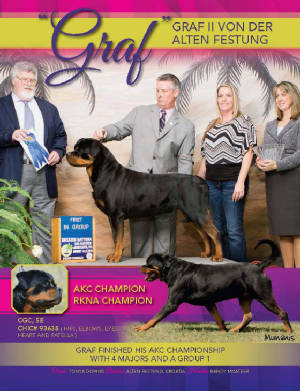 Our Rottweiler Stud, Graf II Von der Alten Festung, is out of the great World Champion, Astor Von Junipera. Graf is a big beautiful boy with a great temperament. Rottweiler Stud Service is available from this amazing Rottweiler Male. CH Srdjan Von Hause Milsped is a beautiful import male with a wonderful temperament. We will offer him as stud to females of merit.